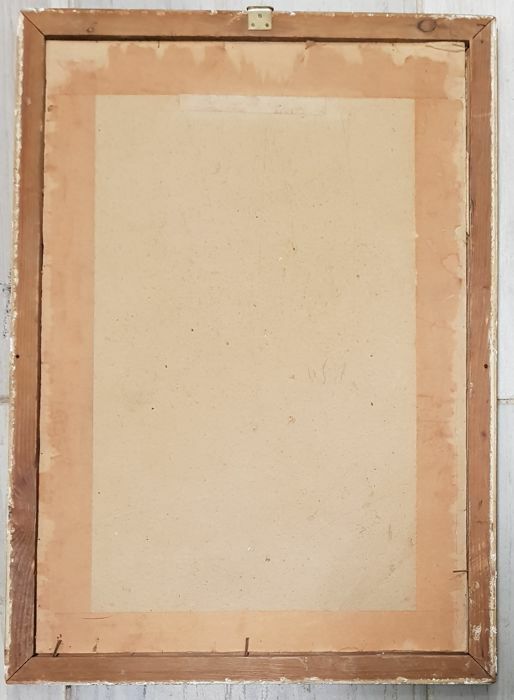 Antique frame, damaged in some areas, as shown in the photos. 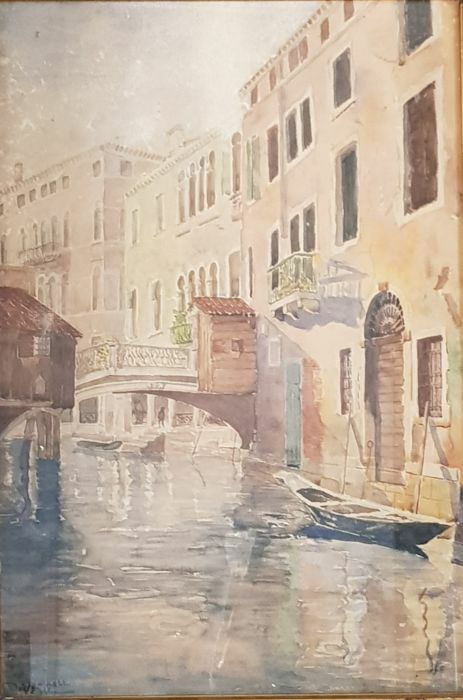 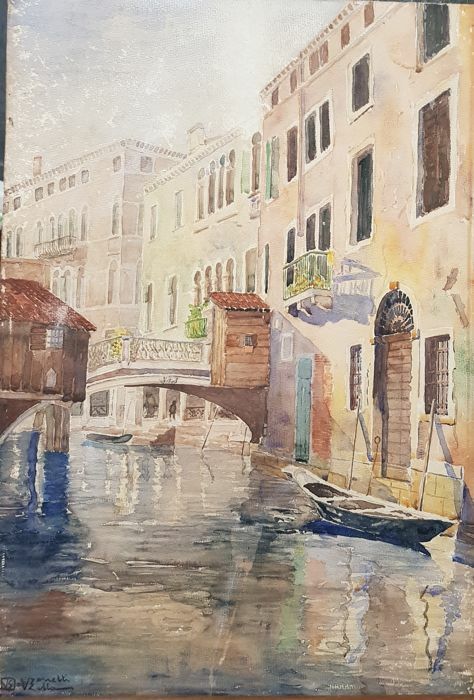 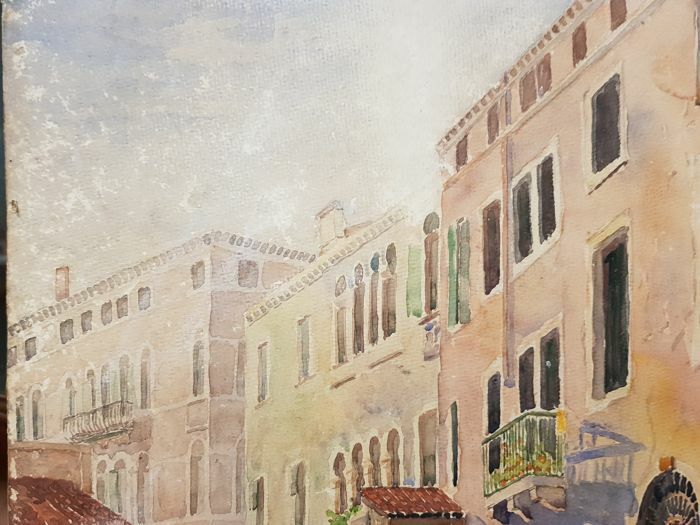 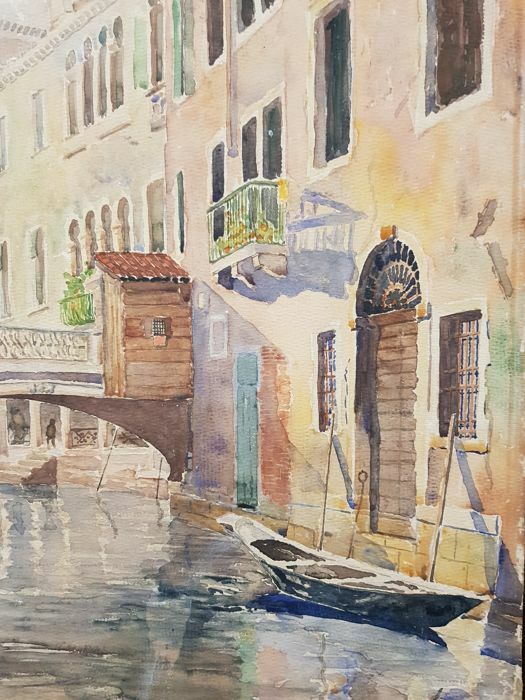 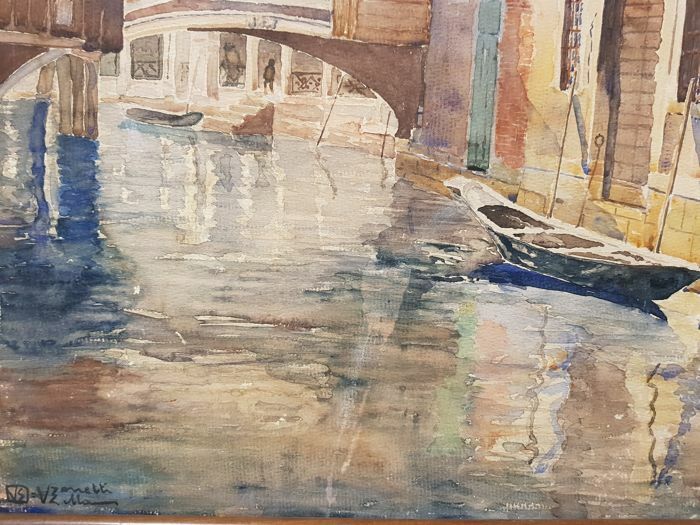 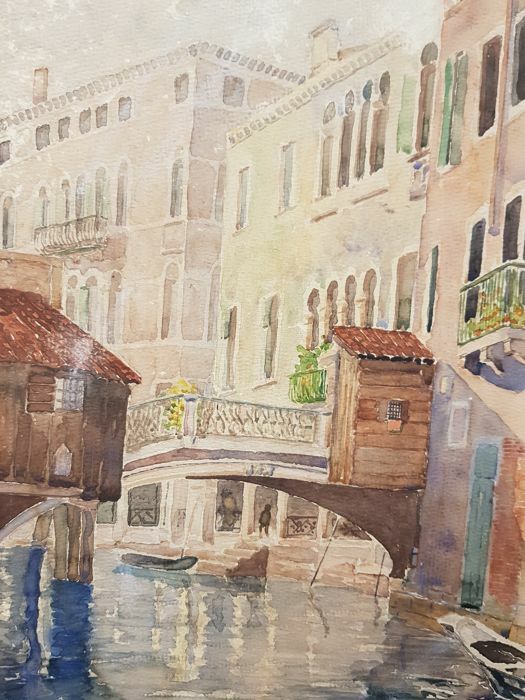 Watercolour on paper depicting Venice, signed V. Zanetti Zilla on bottom left. 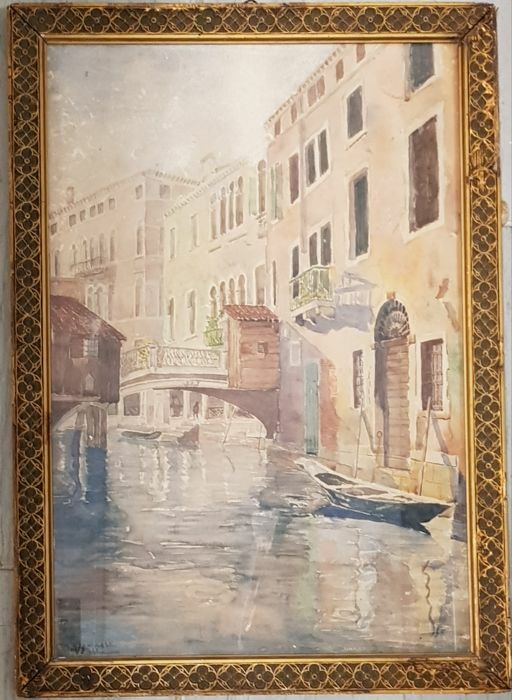 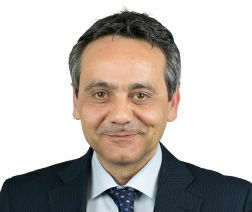 With colour losses at the top, and some water stains, as shown in the photos.